This set is fantastic! I love the little dino on the wagon! He's all ready for an adventure! I love this stamp set! The mammoth is so cool and the cave couple is so cute! Love the stamp set! Love the little dinosaurs in it! Awww!!! Your cards are absolutely cute! Love this stamp set!!! Great set! Thanks for sharing your creative talent with all of us. 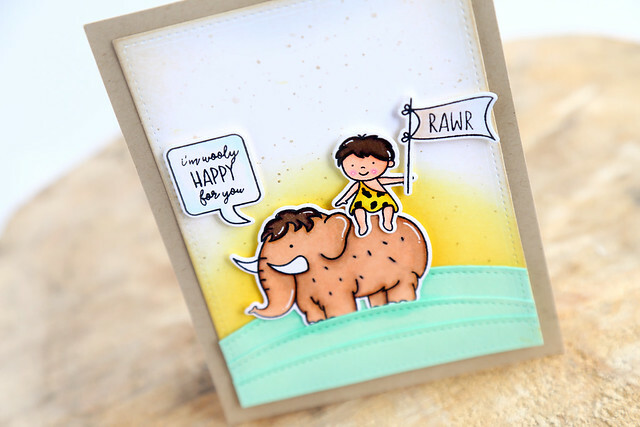 I love the mammoth and the hatchling dinosaur, he is just adorable! Prehistoric is awesome!! I love all the critters and the cave kids. Really good examples with all the designers. Congrats Elena!! You've created such a fabulous stamp set! Your first card is so sweet; your second card is just wonderful. So darn cute! I love the wooly mammoth saying. Too funny! You've done it again, this set is going to be so popular!!!! This is the cutest!!! Love these sweet images and the projects you have created!! 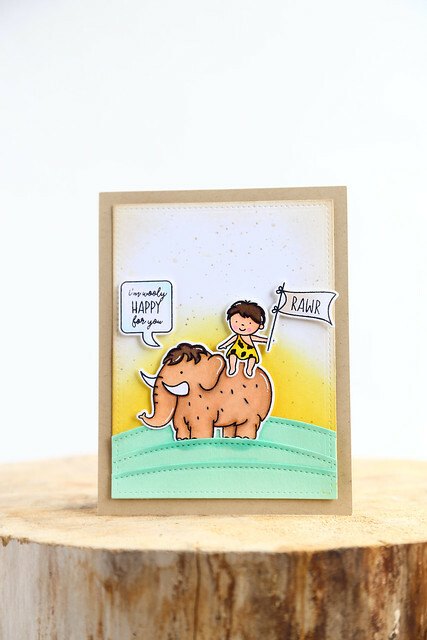 Love the design scenes you have created for these cute stamps. And the sentiments are fabulous! Super sweet set! I love the kids... So cute! Great set and cute cards you created. 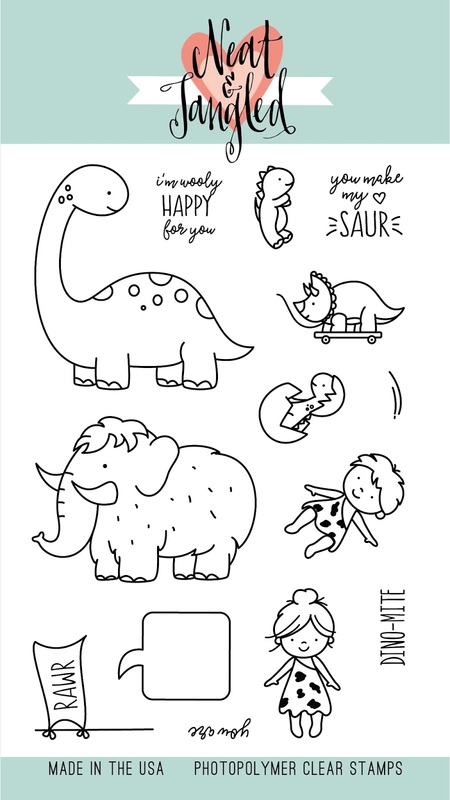 These are so cute, I especially love the little dino family! Adorable stamp set! 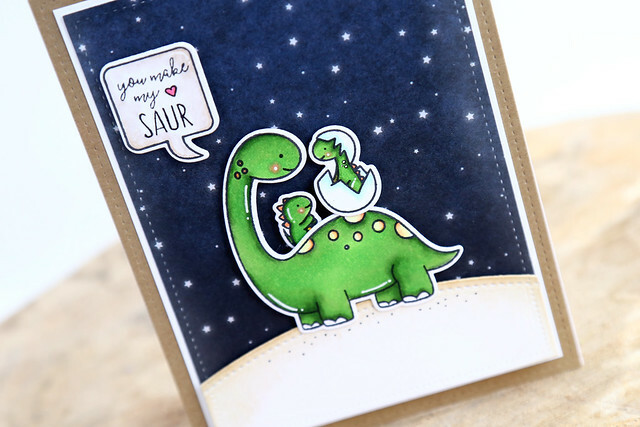 Love those dinosaur babies, so cute!!! You've designed another adorable set! Love those critters and cave babies! This is such a sweet set the woolly mammoth is fantastic and I love the Dino babies as well! Sweet cards! Very fun set! Love your coloring! Sweet cards, loving that stamp set! OMG! This set is so sweet...I love it and I think my kids will love it too! Fun cards! You've made me put this set on my must have list! 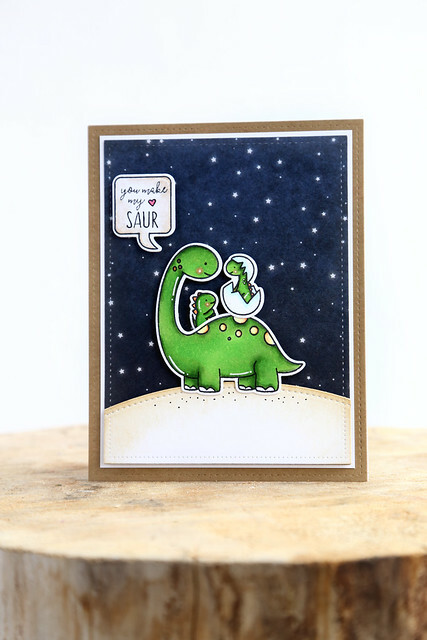 I know a little lady who has loved dinosaurs since she was able to walk - She would love these cards! I love the scenes you created. 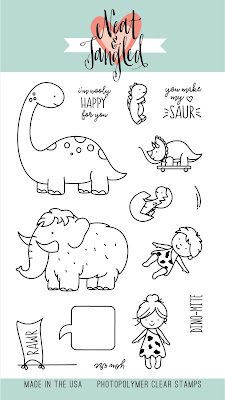 I especially love the one with the night sky and the baby Dino hatching. I adore this set...what a cool theme and I love how you included so many interesting images esp. the mammoth.